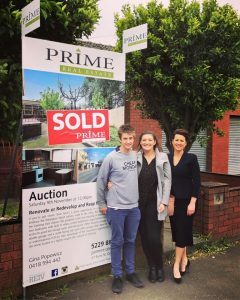 Gina recently auctioned this wonderful opportunity in one of the most highly sought-after suburbs in Geelong, which the lucky purchasers had the vision to acquire. Now that they have embraced this property – which has real potential, they will also be able to embrace the Pakington Street culture, walk to the cafes, the Esplanade, CBD and the Geelong train station. Comprising four bedrooms, double garage and a north facing rear yard this property is ripe for renovation or redevelopment and the purchasers are now poised to reap the rewards that this property has to offer!